To make the right decision about carpeting and the choices for your lifestyle and budget, understanding a few simple basics about carpeting would help you. One of today's most popular, cut pile's durability is attributed to the type of fiber used, the density of tufts, and amount of twist in the yarn. A smart choice for high traffic areas is highly twisted yarn, which will retain its shape longer. Textured Plush: Is the most decoratively versatile. The textured surfaces helps hide footprints and vacuum marks, adds beauty to any room and is the preferred style for busy households. It is a great whole house carpet. Saxony: Works well with traditional interiors, has a refined surface, and is ideal for living rooms and dining rooms. Frieze: Yarns are extremely twisted and forms a 'curly' textured surface. Minimizes footprints and vacuum marks and has an informal look. Plush (Velvet): Has a dense, luxurious feel, easily shows footprints and vacuum marks and is best for low traffic areas and formal rooms. The loops are the same height, which creates an informal look. Lasts a long time in high traffic areas. Today's popular Berber styles are level loop with flecks of a darker color against a lighter background, and is a good choice for contemporary to cottage furnishings. Has two to three different loop heights to create pattern effects, provides good durability, a more casual look. Combines cut and looped yarns. Provides a variety of surface textures, i.e. sculptured effects of squares, chevrons and swirls. The multicolor effect helps to hide soil and stains. Nylon: Nylon 6,6 and Nylon 6 are typically used. Ability to produce various color schemes, luxurious soft ‘hand’, excellent resiliency, durability, abrasion resistance, texture retention. Other features include stain and soil resistance, and suitability for all types of traffic. Excellent color fastness and increases stain cleanability is provided by solution dyed nylon. Olefin (Polypropylene): Inherent and permanent resistance to water-based stains, colorfastness and resistance to static electricity. It is moisture resistant, which makes it the primary fiber for indoor/outdoor carpet. Polyester: Luxurious soft 'hand', inherent, permanent stain resistance, produces bright colors, good abrasion resistance, fade resistance, cleanability. Triexta: Luxurious soft 'hand', excellent colorfastness, bright colors, inherent and permanent stain resistance, durability, resistance to fading, cleanability, texture retention, resiliency. Wool: A nature fiber noted for luxury and performance, soft ‘hand’, high bulk, color variety, inherent flame retardant. The types of fiber used in today's wall-to-wall carpet includes nylon, polyester, triexta, olefin or polypropylene, wool, acrylic, cotton, rayon. Each fiber's characteristic sets it apart from the others. Because it is strong, easy to dye and readily available, it is the most commonly used fiber in carpets. A very strong carpet fiber, if there are heavy traffic areas, nylon carpeting is a recommendation. There are Stainmaster and Wear Dated nylon carpets. Stainmaster and Wear Dated are triloble (cross grain magnified picture looks like a clover leaf) fibers, with fluorocarbon added for stain resistance. 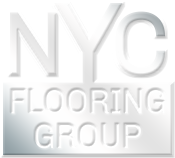 Recent studies by chemical engineers regarding Nylon 6,6 and Nylon 6 suggests the difference between the two have little to do with the carpet's overall performance and suggests that carpet construction is more important than fiber. If a super tightly twisted, medium dense carpet, multicolored to help hide traffic and soil, and looks good for years carpet is purchased, and the fiber is nylon, it will last even longer. "Soft nylons" are the newest thing on the market today. It has been around a long time but is more expensive due to how much of the fiber goes into the carpet to give the carpet a good feel (or hand). The fiber's soft feel is due to its super small diameter. You can think of it like baby hair versus coarse hair or like gauges of wire. Small gauge wire has a smaller diameter than larger gauge wire. The same applies to nylon fiber, but instead the term "denier" is used. New soft feeling nylons are made from very fine denier fiber. These new nylons go under brand names such as Tactesse, Luxurelle (Invista), DuraSoft (Mohawk) or Anso Caress (Shaw Industries). It may be more expensive but as long as you purchase one well constructed, you will love it. Though it has a long chemical name, Polyethylene Terephthalate, it is in the class of fibers known as polyesters. It has a natural and permanent stain resistance, is stronger than old polyester, and has better abrasion resistance. The fiber is made form PET chips, some which is a product of recycled plastic containers. It is also called 'pop bottle carpet'. Recycling doesn't affect the fiber's quality. This product has a higher melting point than the old polyester. This product can be a future fiber repeatedly recycled. When marketed by Mohawk this fiber is known as Smartstrand. FTC approval was recently given Mohawk to market this fiber under its own class; this fiber will be now known as Triexta. This fiber is stronger than PET polyester, has better colorfastness and cleanability features than PET. It is as colorfast as solution-dyed nylon. The fiber is extremely soft and behaves better than staple nylon. In a home with children and pets and all will be in the home over 10 years, this is a good choice. It is one step away chemically from 4GT polymer that's used in making tough auto parts. It will be a fiber for the future. It is a cheap fiber, one of the most colorfast fibers, as well as one of the most naturally stain resistant, which makes this fiber best for indoor/outdoor carpeting in loop and grass styles. Olefin performs well in wear tests if the profile of the pile height is super low. In adding air to the fiber to give it bulk, it will not produce a carpet that looks good for longer than 6 months. It will crush. It has a very low melting point whereas oil has to be added to the fiber in order to survive tufting. Exception to this is the olefin fiber called Comfortouch by Shaw Industries. It is softer to the feel because it was scoured 3 times during the making, then it is treated with R2X, resulting in a fiber that feels like cotton, resists soil and stains and wears better than other olefin carpeting. Wool is not a basic commodity carpet. It makes excellent Berber carpet, plush carpet and frieze carpet. Wool naturally resists general soiling, most stains and crushing, as well as being naturally resistant to fire. Wool carpets with jute backing have a superior tuft bind. Its soft look and rich feel is unmatched by any man-made fiber, and is more affordable than most think. Wool carpeting is a long lasting luxury carpet. In the 1960s acrylic fibers were popular for broadloom carpeting. Acrylic looks and feels like wool, yet the fiber has a fuzz and pill tendency. The popular Berber style of carpet was reviving acrylic fiber, but this has since discontinued. A long wearing fiber used in throw rugs and area rugs. Because of cotton's lack of crush resistance, not much is done to use cotton in broadloom carpeting. Cotton flattens out faster than olefin, and it absorbs a great deal of moisture, making this fiber difficult to clean. Rayon is seldom used for carpet, has a low melting point and is hard to dye with today's modern methods. Rayon is best for clothing. Inexpensive area rugs made of rayon are not for heavy traffic, mostly used as ornamental. Carpet is the foundation of a room's décor, being it covers so much living space. You can have it a neutral color to blend in with fabrics and other surfaces, or make it a vibrant focal point of the room. Carpet color is a personal choice and comes in almost every imaginable color. Select a color uniting your decorative elements and creating your desired atmosphere. Beige carpet can make a room look spacious, but to be bolder look for common colors in your furniture and draperies. Choose a carpet with a similar hue. Blues, deep greens, rosy quartz, stony neutrals are environmental colors and are very popular. Where a room lacks light, warm colors can turn up the heat; for a calming effect try cool greens and blues. To make a room seem larger use lighter colors; to make a room seem cozier use darker colors. Today's lighter color carpets are easier to clean with new stain and soil resistant technology, and this allows for more decorating options. Medium and darker colors, tweeds, and textures are good at hiding soil in high-traffic areas. Different lighting conditions will make the color of your carpet look different. Take samples home and look at them by daylight and by lamplight. Acoustics Specification: When properly selected, carpet is an outstanding sound absorptive material as it absorbs airborne noise as efficiently as many specialized acoustical materials. As soon as carpet is installed over a hard-surface floor the impact sound transmission to rooms below is an obvious acoustical advantage. No other acoustical material performs the dual role of a floor covering and versatile acoustical aid. Understanding the acoustical values of carpet constructions and the combinations of specific carpet cushions is important. Sound absorption: A noise reduction coefficient (NRC) is used in grading the effectiveness of material employed for sound control. Sound absorption coefficients, the fraction of incident sound energy that is absorbed by material, vary strongly with frequency. Small samples can be measured by the impedance tube method, while larger specimens can be measured by the reverberation room method. Reverberation room coefficients are usually provided as a single number, NRC. This number is the average of the coefficients at 250, 500, 1000, and 2000 Hz (from low- to high-pitched sounds). Sound transmission: Transmission through walls, floors and other barriers is much greater for low-frequency sounds than for high-frequency sounds. Sound transmission is measured between two reverberation rooms for at least 16 standard frequency bands. Schedule Your Free Shop in Home or Office Estimate Today.